The presence of water and its fluid forms in architecture and design was the topic of this congress. Its free and changing nature serves as a metaphor to define the new creative philosophies facing the challenges of the future. 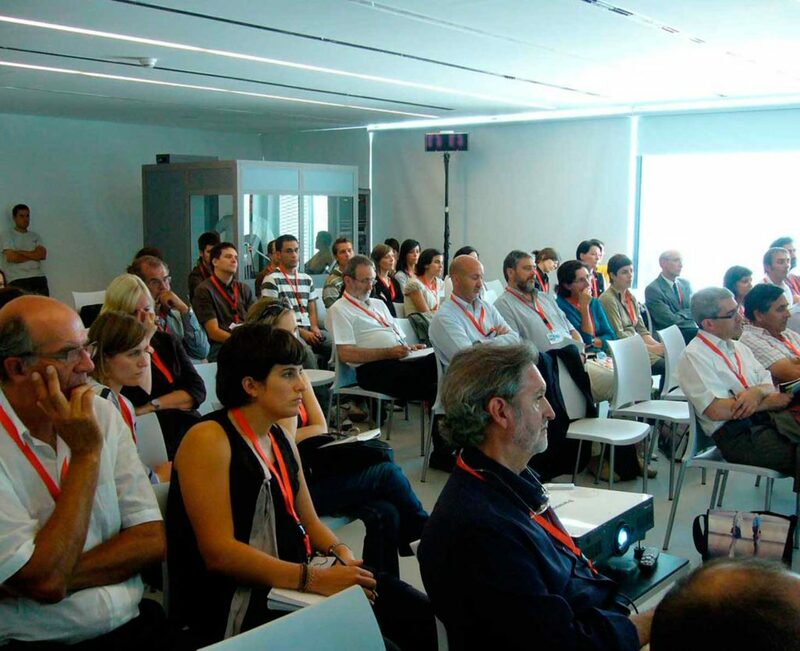 In this congress and within the framework of the Expo Zaragoza 2008, six “liquid” strategies will be presented by six outstanding professionals in the fields of Architecture and Industrial Design from Austria and Spain. This congress was held at the Palacio de Congresos of the EXPO Zaragoza in September 2008. La presencia del agua y sus formas fluidas en las disciplinas de la arquitectura y el diseño es el tema de este congreso. Su carácter libre y cambiante sirve como metáfora para definir las nuevas filosofías creativas con que se afrontarán los retos del futuro. En este congreso y dentro del marco de la Expo Universal de Zaragoza se escucharán seis estrategias “líquidas” presentadas por seis destacados profesionales de la arquitectura y del diseño industrial, provenientes de Austria y de España. Este congreso se celebró en el Palacio de Congresos de la EXPO Zaragoza en septiembre 2008. The presence of water and its fluid forms in architecture and design is the topic of this congress. Its free and changing nature serves as a metaphor to define the new creative philosophies facing the challenges of the future. 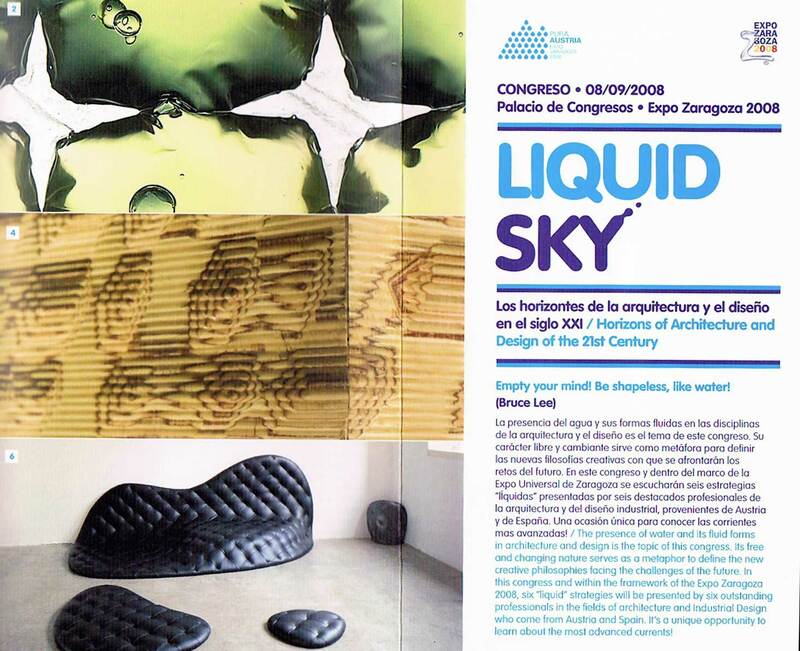 In this congress and within the framework of the Expo Zaragoza 2008, six “liquid” strategies will be presented by six outstanding professionals in the fields of architecture and Industrial Design from Austria and Spain.